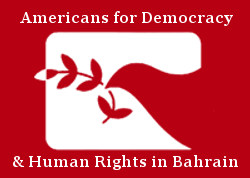 At the 30th Session of the United Nations Human Rights Council, Americans for Democracy & Human Rights in Bahrain submitted a written statement on the subject of human rights abuses in Bahrain, Saudi Arabia, Qatar, and the United Arab Emirates. The statement specifically discussed the ongoing systematic abuses within the judicial systems and highlighted violations of due process, enforced confessions, instances of torture, and extrajudicial killings. Despite concerns by the UN Special Rapporteur regarding these instances of human rights violations, the situation continues to worsen. ADHRB calls on the international community to continue placing pressure on Bahrain, Saudi Arabia, Qatar, and the UAE to address these human rights abuses and enact reform in order to protect basic political freedoms.